January wasn’t a great month for Laval but a handful of players played quite well. As for Montreal’s other prospects, several CHL players led the way. 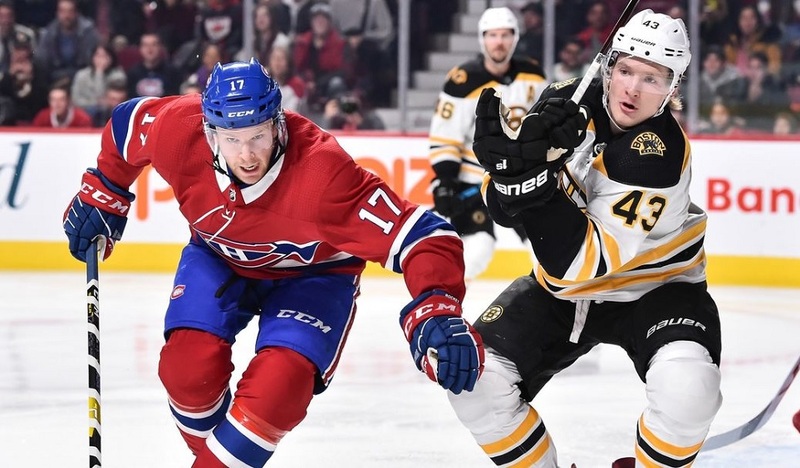 1st Star: Daniel Audette – There haven’t been many pleasant surprises when it comes to Laval’s offence as of late but he is certainly one of them. After being a fixture in the bottom six early on, injuries forced the team to move him up and to Audette’s credit, he has responded quite well and has become one of their top offensive threats over the past six weeks or so. Two more months like that would go a long way towards helping his case for a qualifying offer this summer. 2nd Star: Xavier Ouellet – After playing a very limited role with Montreal towards the end of his time with the big club, Ouellet has been given an opportunity to be the undisputed number one defender with the Rocket. He’s still prone to some untimely gaffes in his own end but all in all, he has been a major positive for them and is playing with a lot more confidence. The fact he was just named captain probably doesn’t bode well for his short-term NHL prospects, however. 3rd Star: Alex Belzile – He’s starting to slow down a little bit but that’s to be expected; a player who has been a depth AHL player can’t be expected to be the go-to guy every night. That said, he still led the team in goals for the month and with the trade of Byron Froese over the weekend, he has a very good chance of leading Laval in scoring this season. Who saw that coming a few months ago? Honourable Mention: Connor LaCouvee – Considering he didn’t play a whole lot, putting him here is admittedly a bit of a stretch (Froese was more deserving) but I have to highlight his situation. With Charlie Lindgren out, LaCouvee was brought in from the ECHL on a PTO to basically sit as the backup. 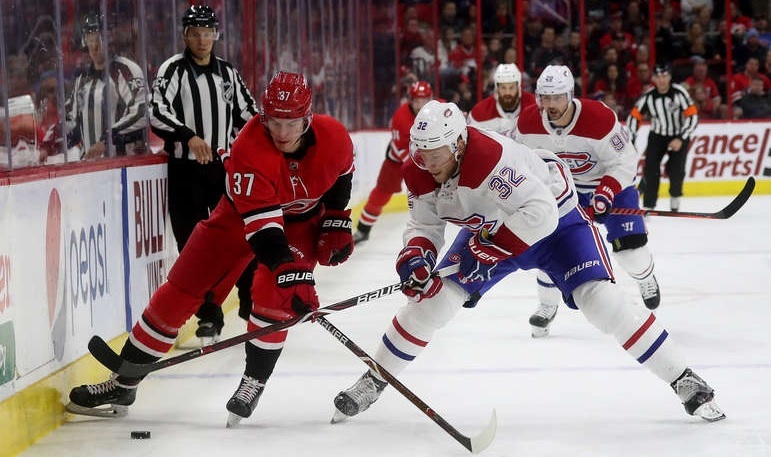 Instead, he wound up pushing his way into a start per week on average and fared quite well to the point where Laval handed him a full-season contract last week. That’s a pretty cool story in a season that hasn’t been full of them. 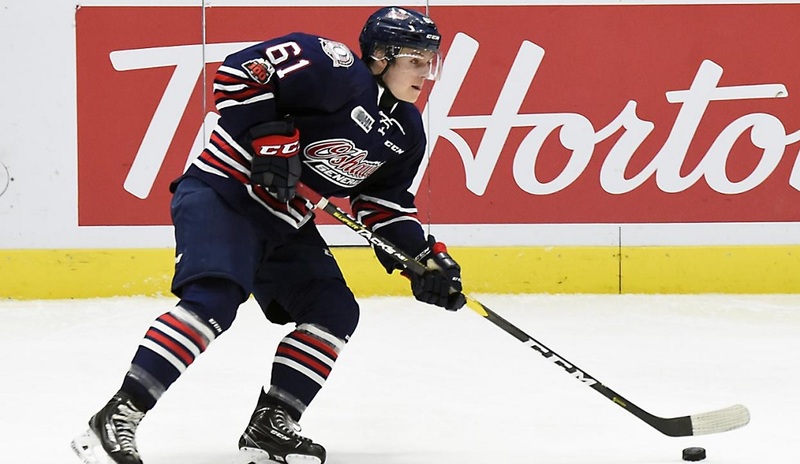 1st Star: Allan McShane (Oshawa, OHL) – McShane got off to a pretty slow start this season which made his drop during the draft a bit less of a surprise in hindsight. That all changed last month when he started to produce with consistency while remaining a fixture in the top six and on both special teams. I’d still classify him as a project but this past month was a sign of the upside he brings to the table. 2nd Star: Joel Teasdale (Blainville-Boisbriand/Rouyn-Noranda, QMJHL) – I was a little surprised at the price that the Huskies paid for Teasdale considering he’s a rental and wasn’t having a huge season. Clearly, they felt that an opportunity with a top team would get him going and boy, were they correct with that assessment. Teasdale has emerged as a key scoring weapon and should be a go-to piece for what could be a lengthy playoff run. 3rd Star: Josh Brook (Moose Jaw, WHL) – A disappointing finish at the World Juniors didn’t deter Brook. He was quickly back in action with the Warriors and picked up where he left off as being one of the top point producers among WHL blueliners. His team isn’t one of the top squads in the conference so it wouldn’t be too shocking to see him up with the Habs as a Black Ace for the playoffs if they can hold on and make the postseason. Honourable Mention: Scott Walford (Victoria, WHL) – Last month, Walford was in this slot with a note that another month like the one he had would go a long way towards earning an entry-level deal. There’s a case to be made that he had an even better month (and is doing well early in February as well). When the Habs drafted him, they thought he had another gear offensively. It took a while but we’re starting to see it with some consistency now.